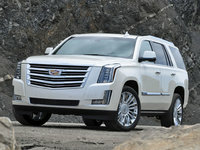 Who said the days of the full-size SUV are numbered? Chevrolet’s re-designed 2015 Tahoe, in adding a bunch of new styling touches, upgraded safety features and a few added comfort and convenience bells and whistles, begs to differ. Of course this big ute retains its 6- to 9-passenger seating capability, but the V8 powerplant has been tweaked for a few more horses (actually, 25 more) and, according to Chevy, better gas mileage. And, of course, this brute again comes in standard rear-wheel drive (RWD) configuration, with the option of on-demand 4-wheel drive (4WD) for those who have to make trips down to the lower 40. A few of the appearance upgrades this year include a new grille, full-width bumpers and re-worked sides and fenders, while an aluminum hood and liftgate panels allows this hefty hauler to shed a few pounds. Upgraded upholstery, meantime, is complemented by third-row seating that now folds into the floor instead of presenting the challenge of removing it for extra cargo space. Alas, this arrangement results in some diminished toting capacity, with the new vehicle's 94.7 cubic feet of cargo area (with the rear seats folded) not quite matching the 108 cubic feet of yore. Further standard and optional features that now come with the 2015 Tahoe stable include upgraded 5- or 8-inch touchscreen color displays and GM’s MyLink smartphone apps, along with redecorated dashboard and door panels. Finally, in the absence of word to the contrary, trims will continue to include the base Tahoe LS, the up-featured LT and the top-shelf LTZ. A 5.3-liter variable-valve-timed (VVT) V8 engine remains the standard powerplant for all 2015 Tahoe trims, but it now sports 355 hp and 383 lb-ft of torque. The 6-speed shiftable automatic transmission now boasts a tow/haul mode and auto grade braking, while cylinder shutdown at cruising speeds improves fuel efficiency. 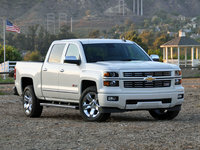 Towing, meanwhile, is again maxed out at 8,500 pounds, and the LTZ debuts a standard adaptive suspension package. Delivered appearance bling, depending on the trim selected, is expected to include, besides the various scheduled upgrades, 18- or 20-inch alloy wheels, a roof rack, heated power-adjustable side mirrors and side steps. Inside, again depending on the trim, look for premium cloth or leather-trimmed upholstery, heated power-adjustable front seats and full power accessories, including memory for driver's settings, cruise control, telescoping tilt-wheel steering and tri-zone climate control. All trims should also throw in standard Bluetooth hands-free calling and OnStar Directions and Connections technology, a rear-view camera and rear parking sensors, while higher trims are expected to again add a standard remote garage door opener, a heated steering wheel and power-adjustable pedals. Look for the LS to once more flaunt a single-CD player with 6 speakers and satellite radio, while the LT adds a 9-speaker Bose premium system and the LTZ goes one better with a 10-speaker Bose system. Options should once more include, again depending on the trim, a power sunroof, rear seat DVD entertainment, a Class IV towing package with integrated trailer brake controller, upsized wheels, load-leveling suspension and a navigation system that flaunts an improved 8-inch dashboard display. Various available seating configurations also remain as options for 2015. Along with the usual complement of standard safety features, this next Tahoe sport ute is also touted to offer such debuting safety equipment as a center airbag between the driver and front passenger, adaptive cruise control with forward collision alert, blind-spot and lane-departure warnings, and available glass breakage sensors and motion sensors. 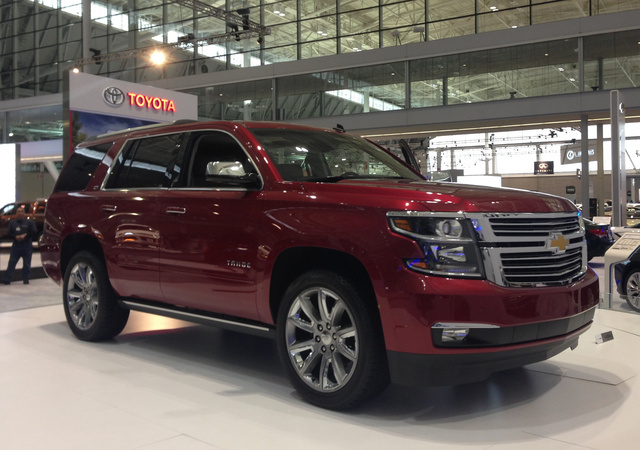 With pricing details pending, the 2015 Tahoe is poised to go on sale in the early summer of 2014. What's your take on the 2015 Chevrolet Tahoe? 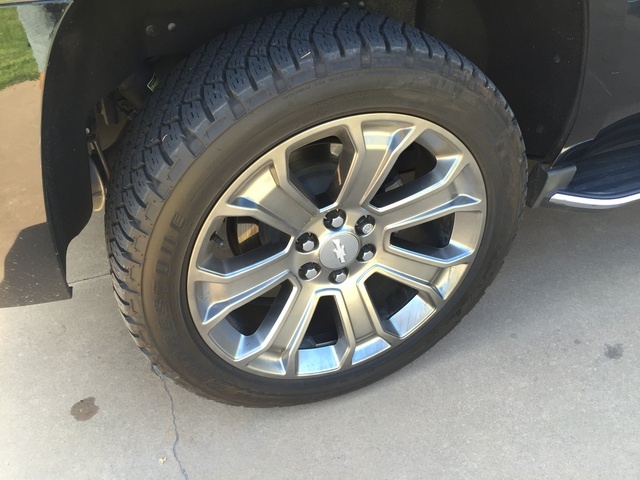 Users ranked 2015 Chevrolet Tahoe against other cars which they drove/owned. Each ranking was based on 9 categories. Here is the summary of top rankings. Have you driven a 2015 Chevrolet Tahoe? Aluminum Or Cast Iron Block, Which Is Better In A Tahoe? Are there major issues with aluminum engine blocks in Tahoes? The rear window washer on my 2015 Chevy Tahoe is not working, no evidence of leaking anywhere, suggestions? Is Their A Way You Can See Sold Inventory? I bought a vechile you guys had listed for a dealership but i think they over chargerd me for the truck when it was listed on cargurus for less but i have no prove.